Our website was created for the unemployed looking for a job. A number of documents are available here to guide you through the recruitment proccess. On the website you will find samples as well as CV templates and models that can be downloaded free of charge. We provide you with traditional and modern forms of documents to apply for different job positions. 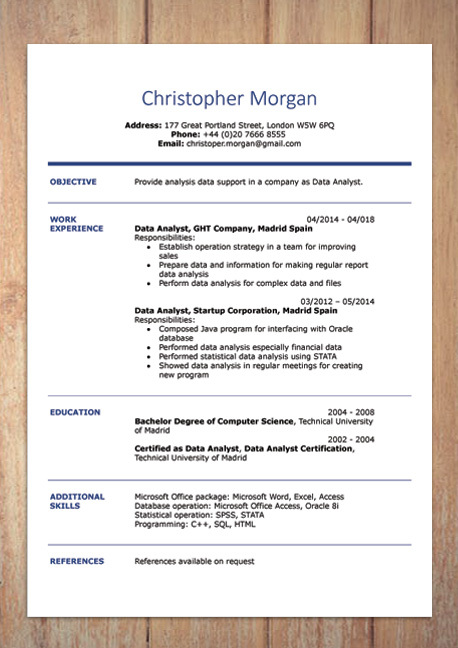 - a CV document creator – boxes to be filled out one by one on the website: personal data, contact details, education, professional experience and additional skills. The file is then converted into the PDF format and saved on your computer’s hard disc. The creator is very fast and intuitive to use. We take care of the safety of data and do not save them on the server. Are you looking for a job in Great Britain (England, Scotland, Wales or Ireland) or Australia or United States or Canada? 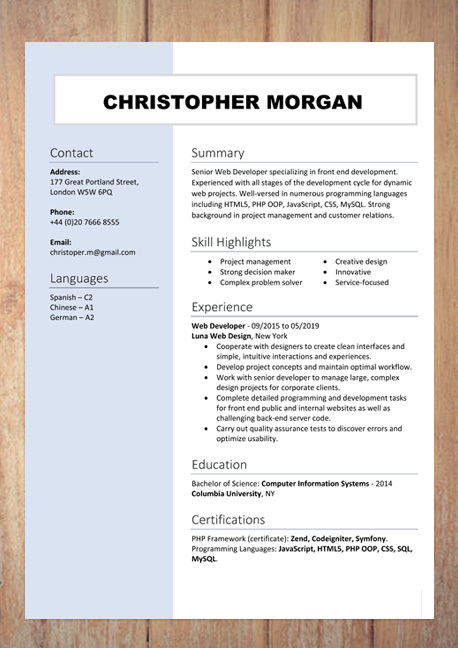 We provide you with CV templates in English that apply in these countries. If you intend to work in Western Europe – countries like Germany, Switzerland, Austria, Belgium – we offer you a base of CV models in German plus a CV creator / builder. Our recruitment documents are also used in the Netherlands, Denmark and Norway. 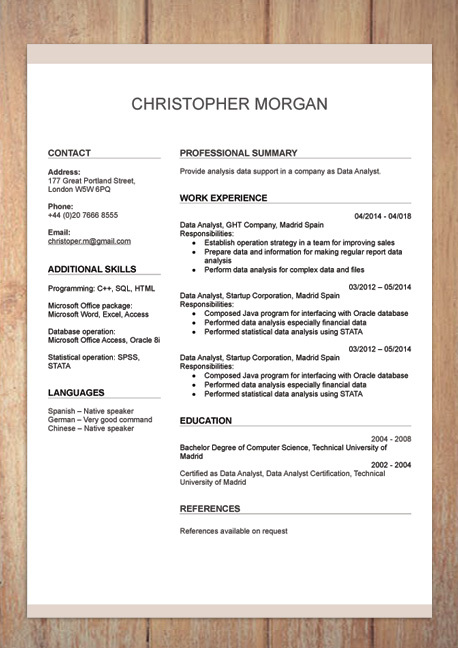 Skills in a CV should be described in a clear way. Computer literacy, teamwork skills or creativity are all important, but they need to be appropriately presented. As far as possible, it is a good idea to link your skills with specific professional situations. And it doesn’t matter if you write about learned qualifications or abilities that result from your character. More - skills in cv. 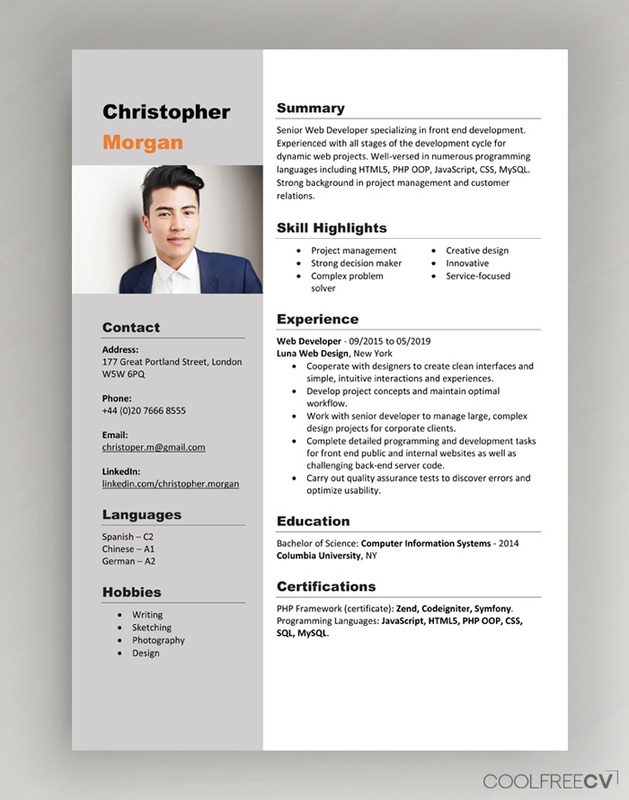 A CV is a document that recruiters use as a basis to decide who will be invited for an interview. 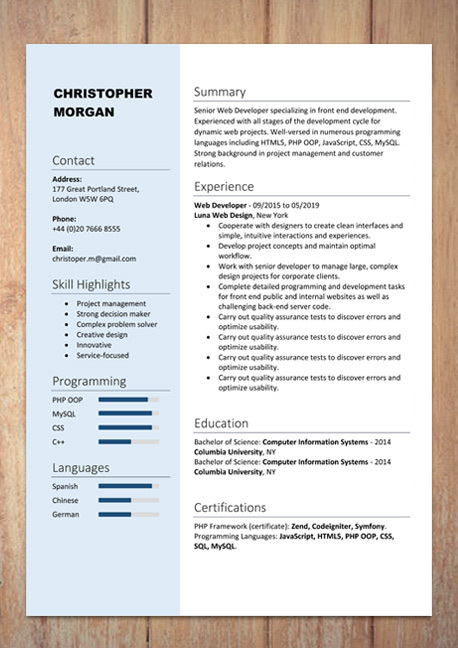 What makes a difference between a professional resume that ends up in a trash bin right away and the one that encourages a recruiter to meet a candidate? 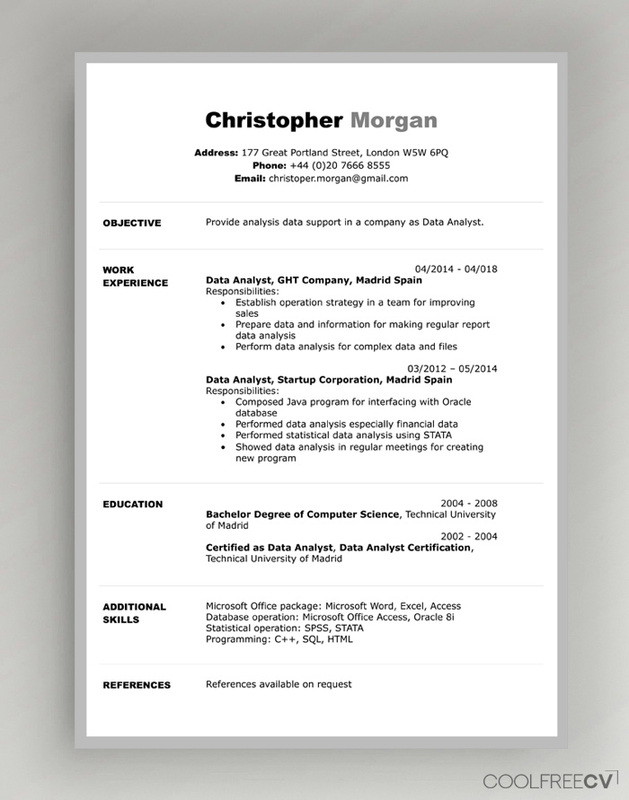 More - resume tips. 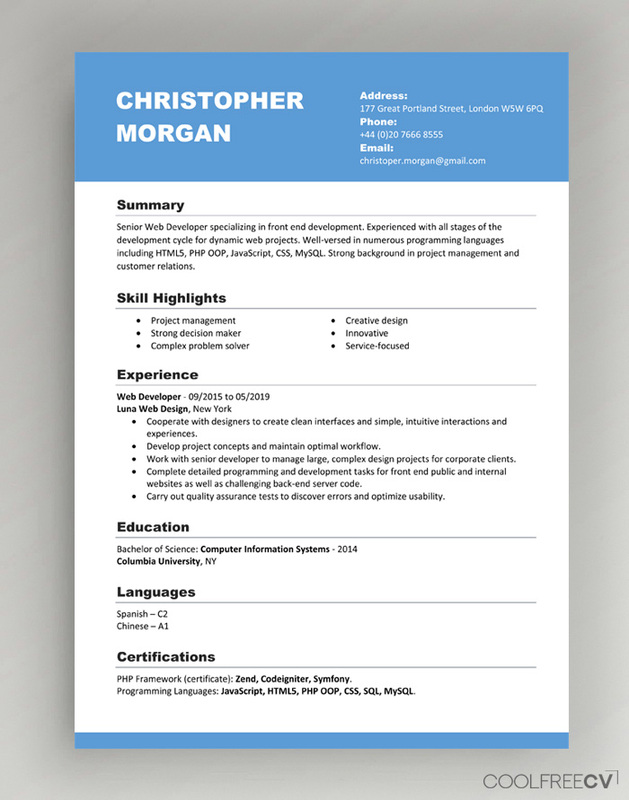 How many pages should a resume contain to be noticed by an employer? Should it be limited to one page? Some candidates will try at any price to fit all the information about themselves on one page. 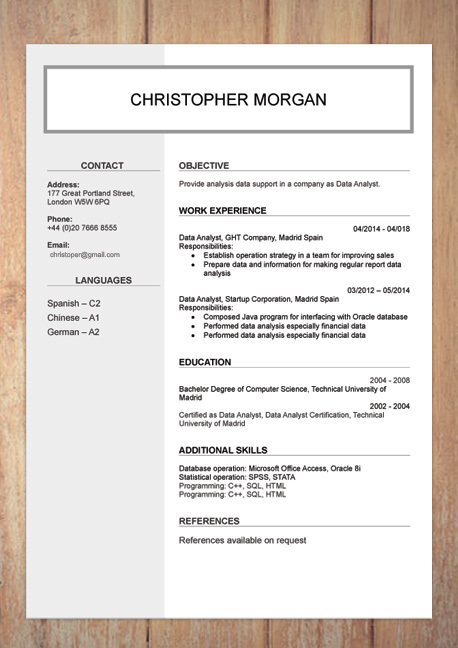 Others believe that the more data and pages in a CV, the better. 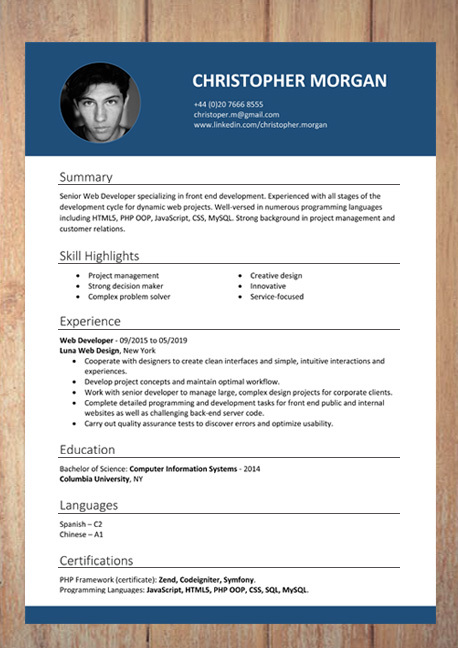 More - CV on 1 page or 2 pages.